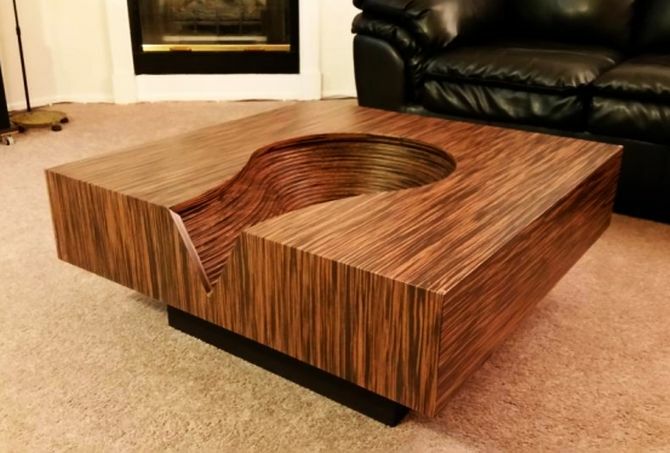 Designed and manufactured in USA by David Bondy from Prime Tech Cabinets Inc., this square-shaped coffee table is more like a piece of art than a piece of furniture. Its glossy structure has been beautifully handcrafted to take form of a miniature stadium or arena.The central part of the table features a series of carved rings that elegantly takes shape of a set of bleachers, stimulating a single teardrop-shaped stadium. Aptly named ‘The Colosseum’ coffee table, this furniture piece reminds us of the well-known Colosseum amphitheater in Rome, Italy. The popular Flavian Amphitheatre has an oval architectural design, which is somewhat similar to the highlighting central section of the featured coffee table. 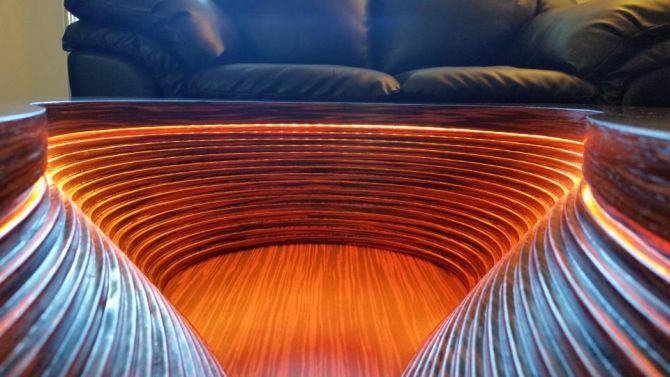 The gorgeous structure of the coffee table is made using a reconstituted handmade dyed Macassar Ebony Veneer sheet. This wooden sheet has been laid on both sides of an 3/4-inch MDF panel for the main block. Base gives impression of a solid block and is made from a Wenge PVC Thermo Foil fused on the MDF panel. There are total 16 steps or sets of bleachers at center of the table. 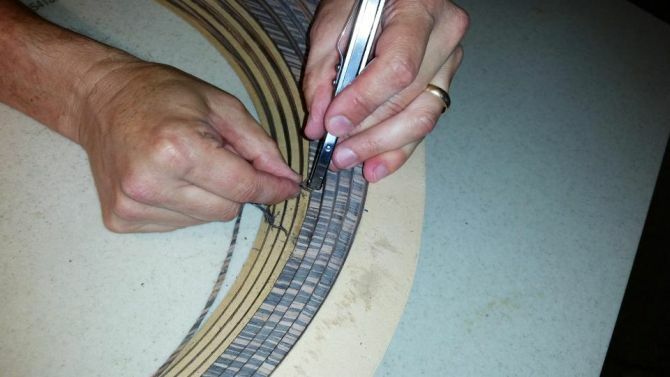 Each of the 16 steps (both vertical and horizontal) were cut and crafted by hand. Initially a series of four staggered concentric pieces was formed on 1 1/2-inch MDF, which was later carefully trimmed and smoothly sanded. 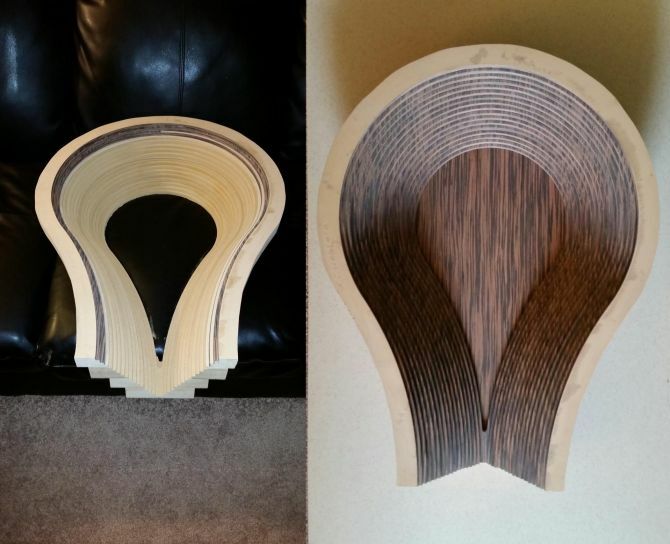 To give impression of a continuously synchronized wood grain lines, each section of the horizontal concentric shapes were made with another sheet of veneer. Finally, the finishing of a clear matte lacquer adds more elegance to it’s aesthetic charm. Resulting furniture piece looks like a miniature model of some real-life stadium that’s usually surrounded by solid blocks of a building or monument. Another highlight of the coffee table is the illuminating central portion, which features a multicolored LED strip lights with up to 20 interchangeable colors. These color-changing LED strips brighten up the bleachers, making it a true conversational piece. Furthermore, 1/4-inch clear glass can be added on the top for protecting it’s surface. 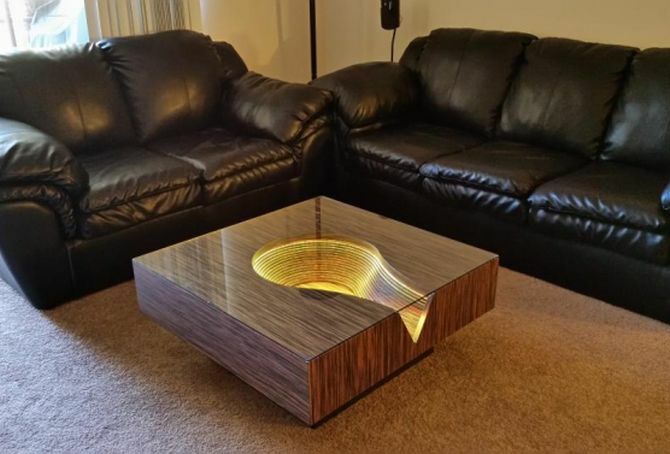 Update: Earlier the stunning coffee table was available on eBay for US $4,200, but the listing ended on Jan 17, 2016. However if you want the one for your living area, then you may contact David Bondy on his official Facebook page for further information and pricing. 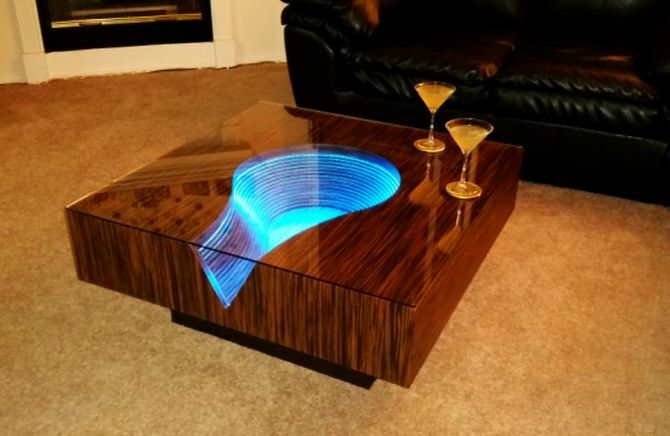 It is one of the eye-catching coffee table designs we’ve seen so far. 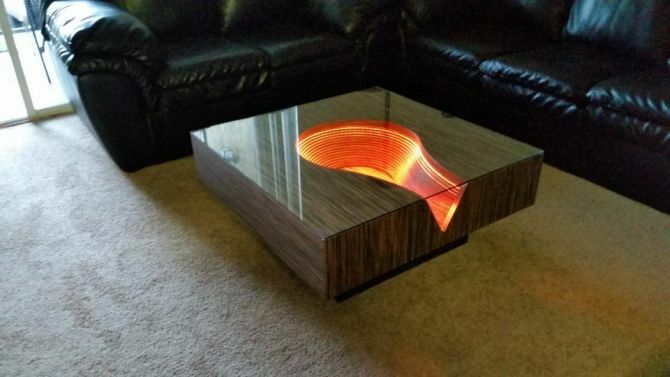 The coffee table’s beautiful minimalist structure and fine craftsmanship are absolutely commendable. 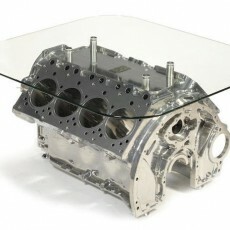 How about a coffee table made from Rolls-Royce V8 engine block?